A new online platform called AREMI identifies the location, availability and volume of biomass, and has been flagged as a “pivotal tool” to boost investment in Australia’s renewable energy sector. Businesses and investors now have access to a data-rich platform which maps out Australia’s biomass hotspots. The Australian Renewable Energy Mapping Infrastructure (AREMI) platform collates and consolidates data currently housed by multiple organisations such as Geoscience Australia, the Bureau of Meteorology, Commonwealth Scientific and Industrial Research Organisation (CSIRO) and AgriFutures Australia’s Australian Biomass and Bioenergy Assessment (ABBA) project and maps available biomass resources across Australia. 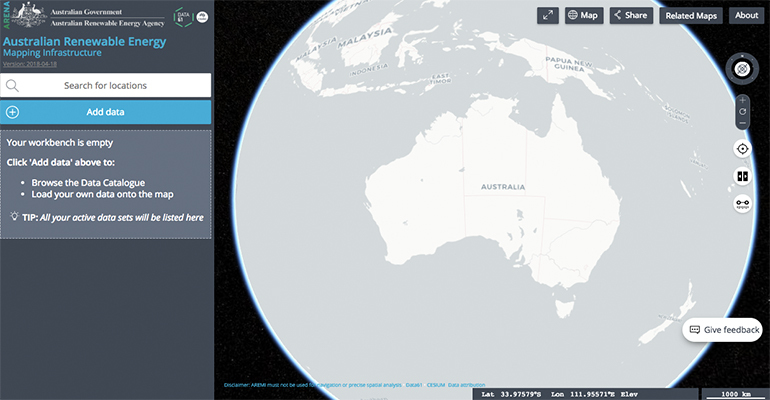 The mapping platform was developed by CSIRO’s Data61, Australia’s Centre of Excellence in Information and Communication Technology Research and Development being developed to share mapping data and information with the renewable energy industry. AgriFutures Australia ABBA Project Manager, Julie Bird, said that AREMI creates better links between potential biomass suppliers, such as farmers and foresters, and end users. The AREMI platform helps researchers, policymakers and bioenergy project investors make decisions on renewable energy development opportunities. In Queensland (QLD), Southern Oil used the AREMI data to identify 12 primary processing sites for biomass, which was then transported to their bioenergy refinery in Gladstone. AgriFutures Australia’s involvement in biomass and bioenergy aims to raise awareness in rural industries about opportunities to engage in the bioenergy supply chain as feedstock producers. According to Bird, ABBA is an important project helping to identify biomass locations and success stories which will be fundamental to shaping Australia’s future energy economy and driving investment in renewables innovation.